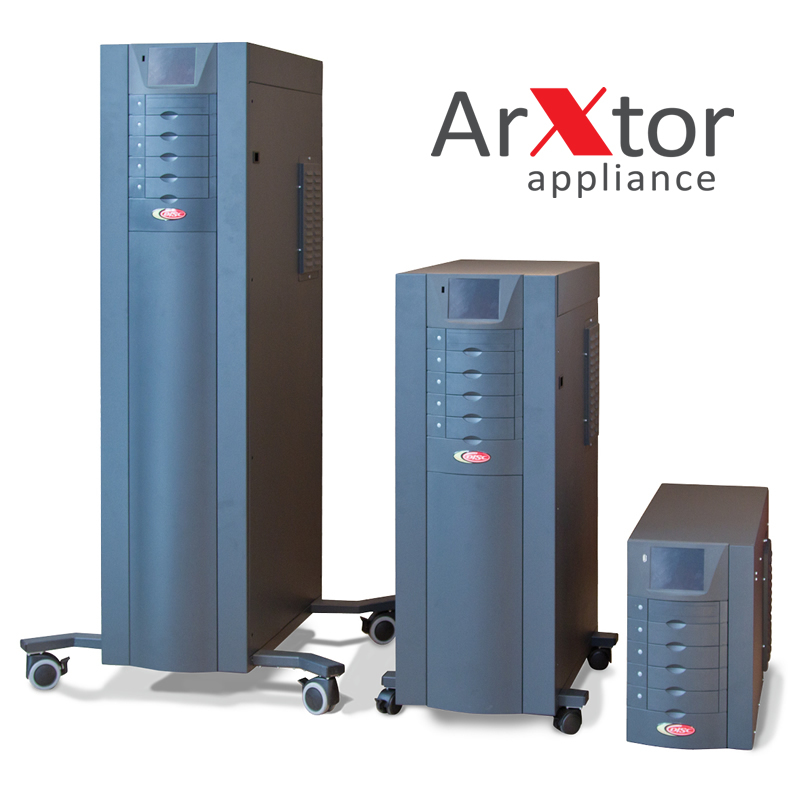 Simplify your IT infrastructure while creating a more dynamic and flexible archival storage solution with the DISC ArXtor Appliance. Ensuring continued IT innovation, the ArXtor Appliance helps reduce CAPEX and OPEX costs through server consolidation and archive automation, while ensuring regulatory compliance and minimizing risk. 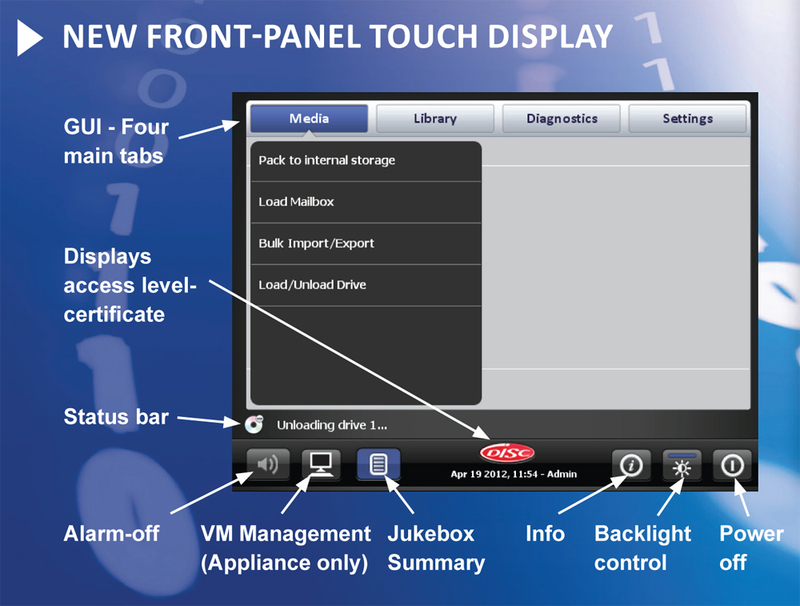 • Web-based GUI & front-panel touch display, providing the basis for intuitive local and remote (Java client) setup and diagnostic capabilities, setting a new industry standard for intelligent support of Blu-ray Library systems.